The Rajasthan government waived off loan for farmers in the 2018-19 budget up to Rs 50,000 for marginal farmers. In order to pre-empt a farmers' protest around the legislative assembly February 22, the Rajasthan government cracked down on farmer leaders, according to a statement by the All India Kisan Sangharsh Coordination Committee (AIKSCC), an association of 194 farmer groups across the country. The state government arrested farmer leaders Amra Ram, Hetram Beniwal, Seopat Meghwal and other leaders on February 20, says the AIKSCC statement, which condemned the action. In response to the sudden crackdown, various farmers’ organisations protested at every block today and also burnt the effigy of Chief Minister Vasundhara Raje. “During the burning of effigy this morning, the police arrested a number of local leaders,” says Manoj Kumar of All India Kisan Sabha, the organisation which announced the protest against the Vasundhara Raje government for refusing to implement an 11-point demand it had accepted in September 2017. In an outpouring of the nation-wide wide farmers’ movement, Sikar district had witnessed a huge farmers’ protests September. The state government had then agreed to accept all the demands after many rounds of talks with a five-member committee. The demands agreed to, include waiving off loan, better price realisation of produce, government procurements, resolution of stray cattle issue, and old-age pensions. “The state government is crushing the voice of farmers, who have a legitimate demand for their produce,” says Hannan Molla, general secretary, AIKS. 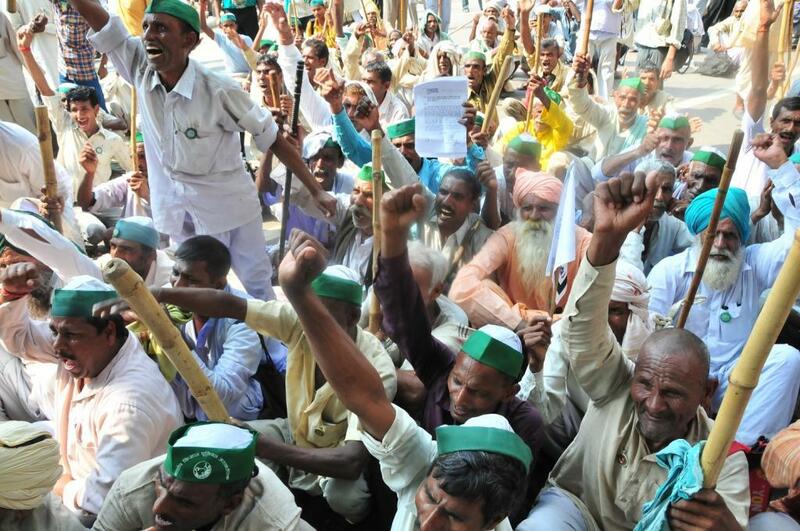 Raje government has waived off loan in this budget up to Rs 50,000 only for marginal farmers. However, Rampal Jat of Kisan Mahapanchayat, a Jaipur-based farmer organisation, says that it was a betrayal for farmers as she had agreed to waive off loan of all farmers. “It was her attempt to divide farmers,” he adds.